This 30 acre property has been subdivided, cleared and filled to provide multiple development sites from 3 acres in size. Phase I filled and serviced in 2009 has sold 12 of the 16 sites. 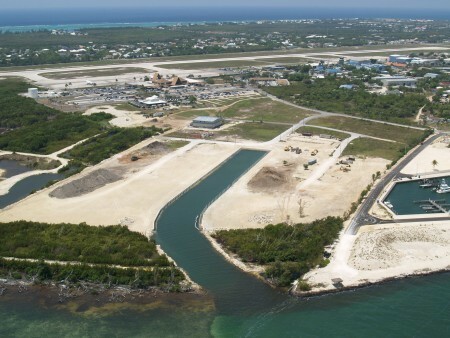 Phase II filled and serviced in 2011 includes deep water access canal to North Sound and 600 ft of dock space together with 14 parcels of commercial development. Commercial lots available! Call 949-7677 for more information.